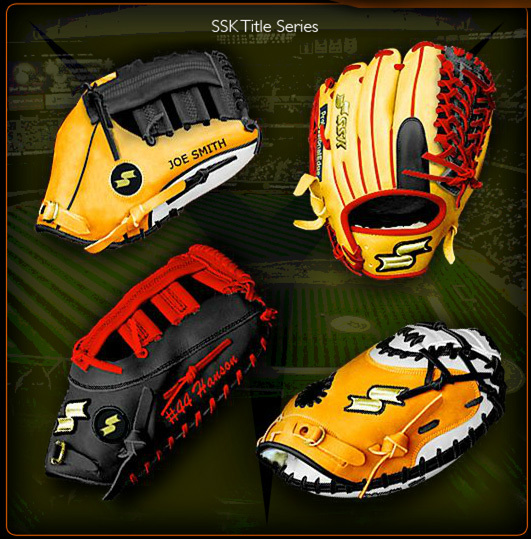 Due to popular demand, SSK is introducing our new Title Series glove through customglove.com. Now, when you order a world-class, one of a kind, built just for you SSK glove from customglove you have the option of the new super-soft leather. Through a unique tanning process SSK is able to shorten the break-in time for a new glove from 2-3 months to almost zero. The super-soft Title series gloves are game ready right out of the box. And of course you still have all the other options you love to choose from at customglove.com. Size, style colors, stitching and lacing can all be customized and made to fit your hand and your game. And as a finishing touch you can still include your name and number embroidered right into the design. So head over to customglove, take a look at the options and give a new SSK super soft Title Series Glove a try. We�fll see you out on the field the day it comes home. 2012/11/12 Three New Innovations From SSK And Available From Baseball Express To Improve Your Game. 2012/10/30 SSK Congratulates the 2012 World Series Champions - The San Francisco Giants!